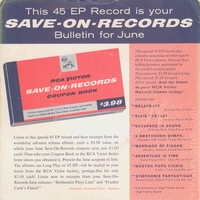 Cover front: Blue, Red, and White paper sleeve. 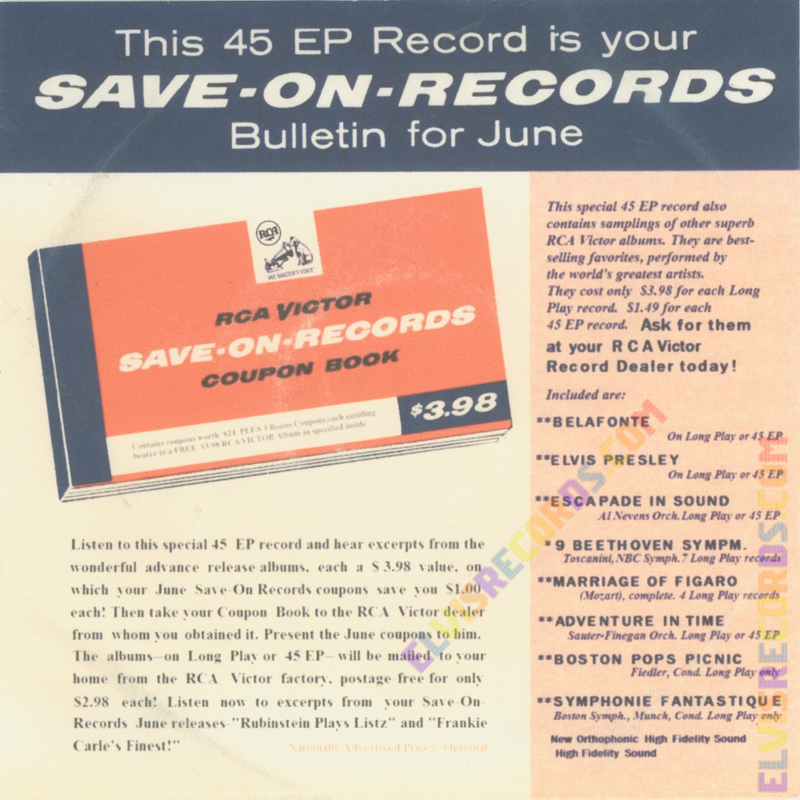 This 45 EP Record is your SAVE-ON-RECORDS Bulletin for June on top in white lettering over blue background. 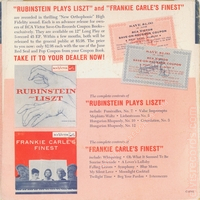 Cover back: Highlights Rubinstein Plays Liszt and Frankie Carle's Finest. C-4765 lower right corner. BOOTLEG ALERT! FAKE ALERT! 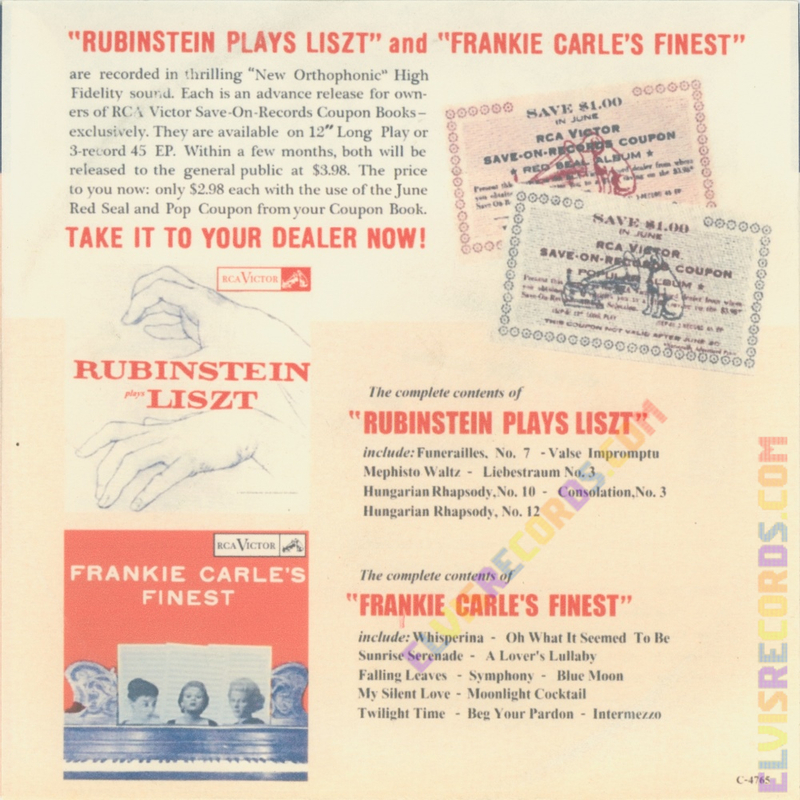 This sleeve is not been identified or documented in any bootleg or price guide. Here are the reasons that this example and many that are offered are not legitimate. 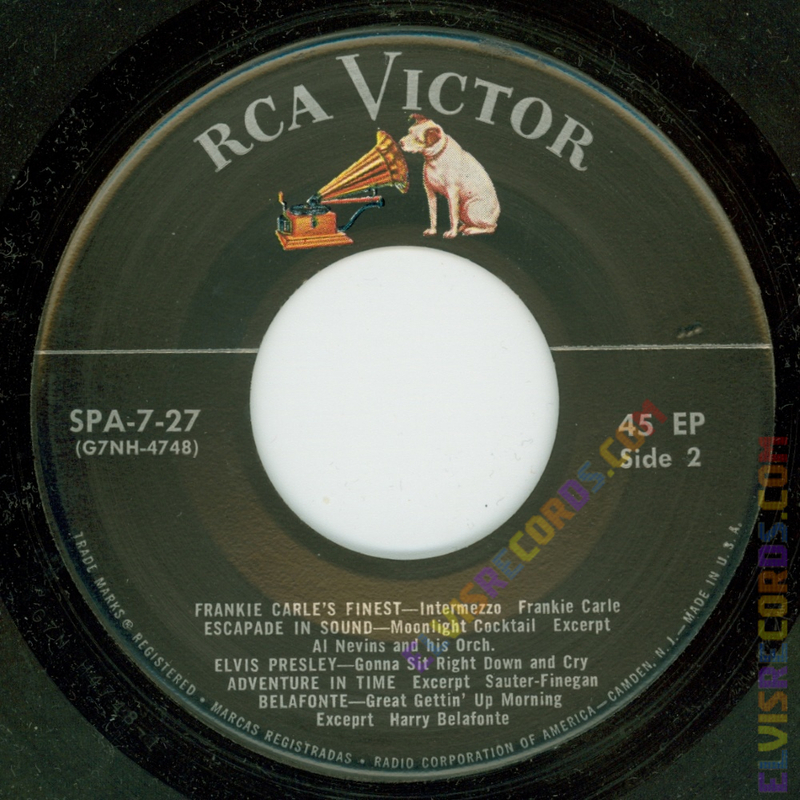 The font is blurred and not crisp on both sides of the sleeve unlike the original crisp which is completely legible. 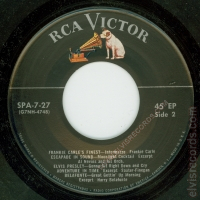 On the front side of the original, there is an * and ** next to New Orthophonic High Fidelity Sound and High Fidelity Sound, which is missing on the fake. 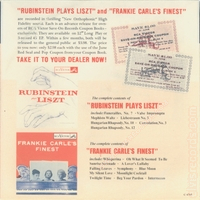 Nationally Advertised Prices Optional is legible on the original and faded on the fake. 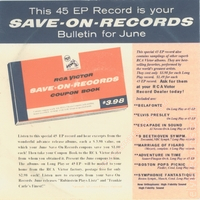 On the back side of the sleeve, the two images depicting the SAVE-ON-RECORDS COUPON contain text is is legible on the original, and completely illegible on the fake and incorrect color font. 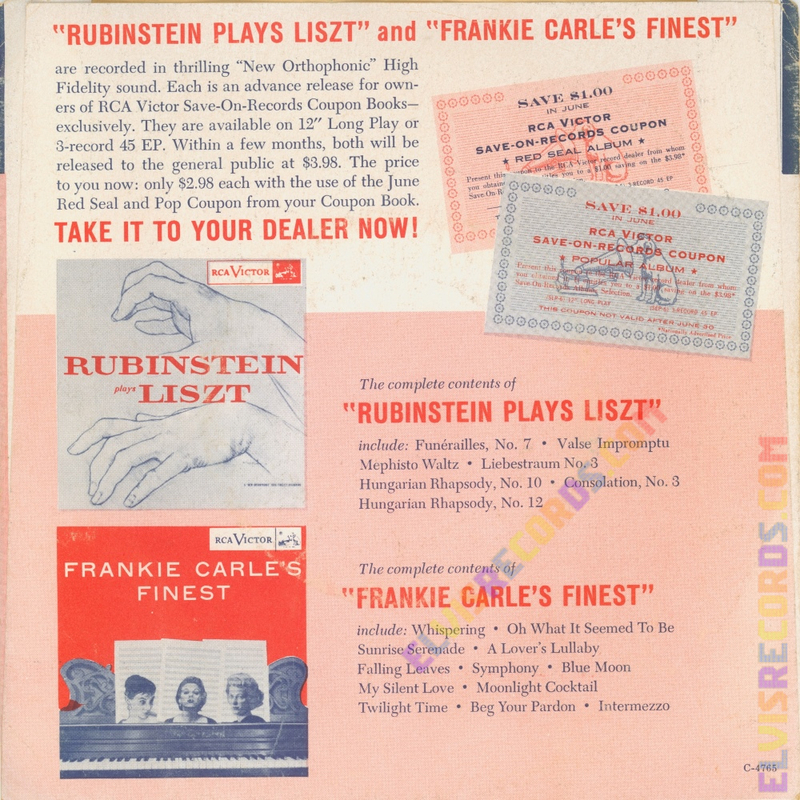 The image of the RUBINSTEIN plays LISZT cover has a darkened cover on the original, and is white and blended into the rest of the cover on the fake. The colors are faded on the fake. Now for the fold. The original fold is NOT squared as is the fake. In fact the fake, even has the colors of the front side of the cover printed onto the back of the back fold. The inside of the fold looks to be hand cut and not machine cut. The edges are jagged and not well-rounded as is found in the original. The paper stock is incorrect. 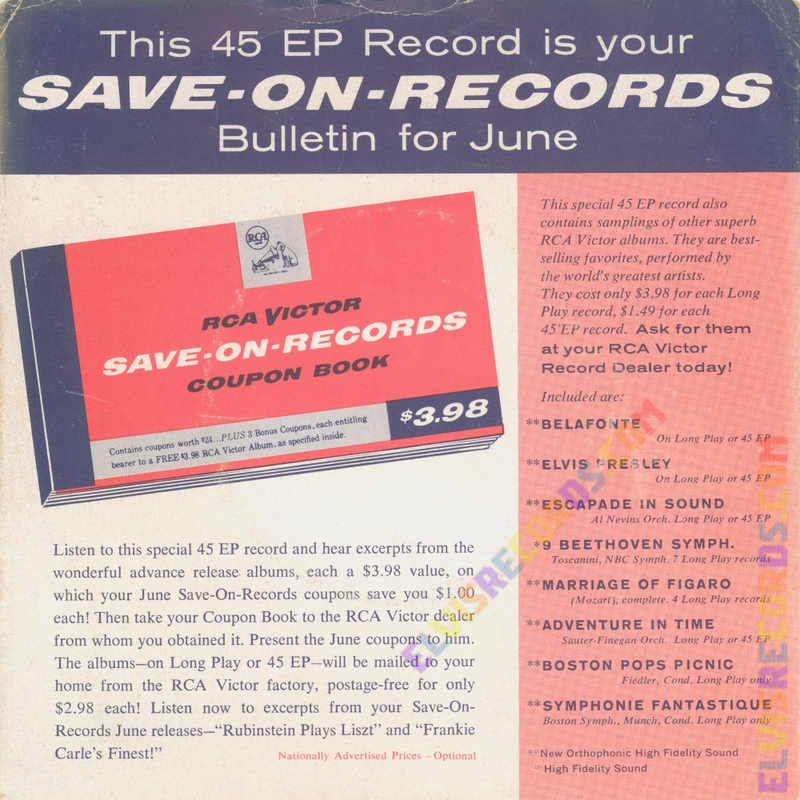 The original is glossy very much like the common picture sleeves of that era, not of a dull construction paper. 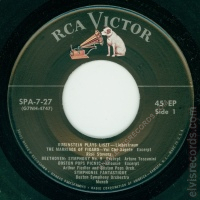 There seems to be more of these offered than original sleeves. Again, note, these are my observations, someone may likely disagree. 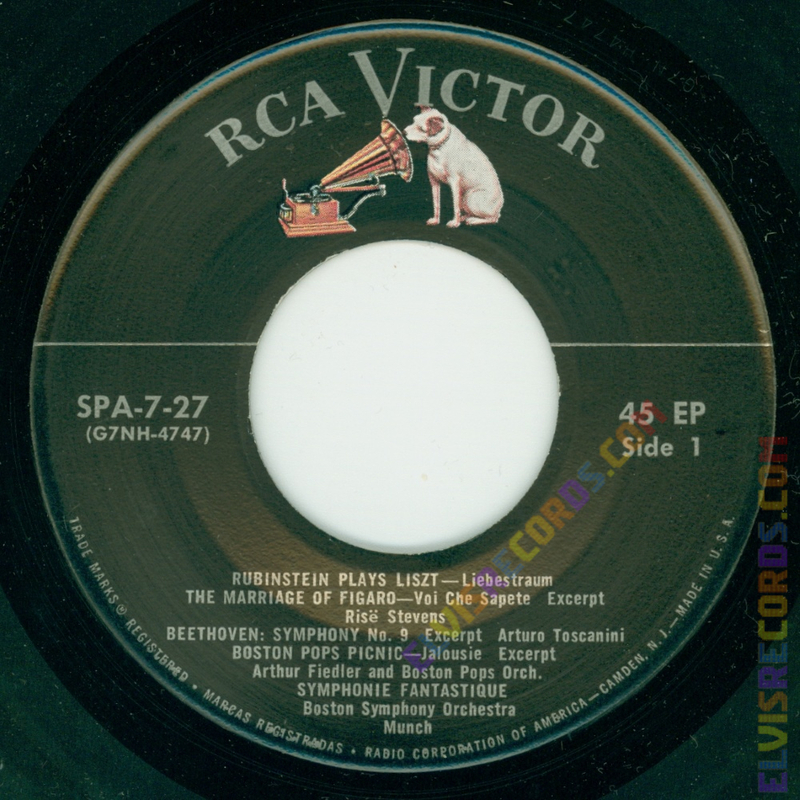 Disc: Black label, dog on top, with horizontal silver line.